Modern beverage cans are markedly different from the first metal drink cans that appeared in the early 20th century. But is it time to update the design again? 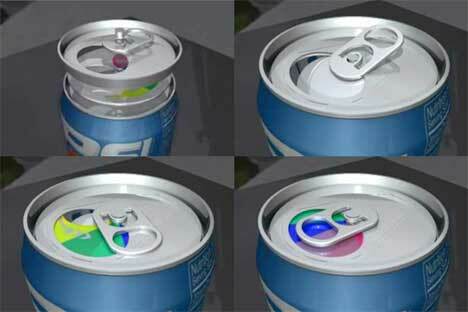 This clever soda can design would use the familiar pop-tab format, but with a twist: the very top of the can twirls around to cover the opening. The design keeps your drink safe while providing some very interesting advertising real estate. Created by Johan de Broyer and Robert Davis, the resealable soda can wouldn’t cost any more to manufacture than standard soda cans do. 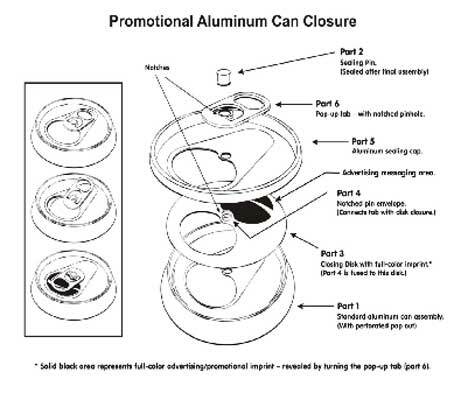 The design only requires the addition of a disc between the can and the top, the cost of which would be offset by selling advertising space on the disc, according to the inventors. But the disc could also be used for giveaways or other value-building messages. It’s a versatile space that simply didn’t exist before now. In addition to being an interesting new place to advertise or place product information, the airtight, gas-tight inner disc has a very beneficial purpose. It allows the can to be closed after it’s been opened, retaining the fizz and keeping the drink safe from insects, dirt and other contamination, and even spills. No materials are used for the extra piece that you wouldn’t find in a regular soda can, so they can still be recycled along with conventional drink cans. This brilliant design is one that makes people stop and ask why no one has thought of it before – it’s simple and intuitive, and it makes a great deal of sense.